All About HCRP’s First Half-Marathon | Middle-Aged Woman (newly) On The Run! 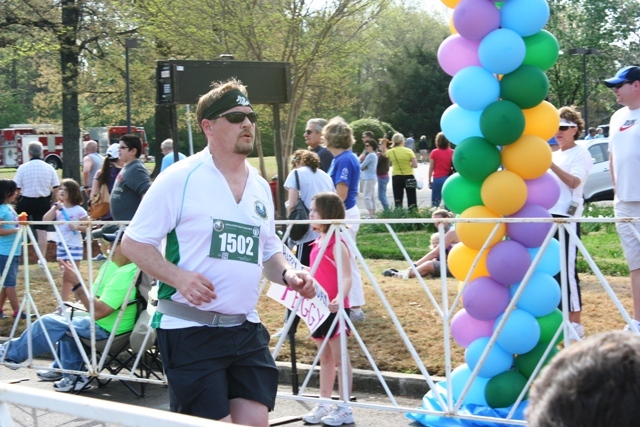 This post is dedicated to HCRP: My Husband, Coach, Running Partner aka Rich. 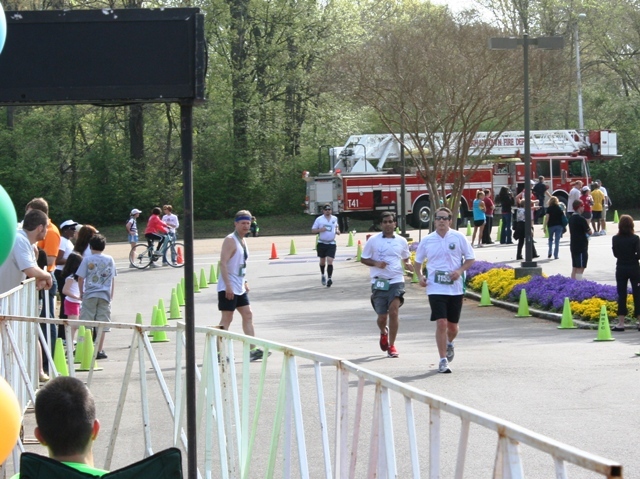 Today was the Germantown Half-Marathon which is one of the biggest running events in Memphis and The Mid-South. Back in October Rich and I did our first 5K together and he first introduced the idea of running a half-marathon. 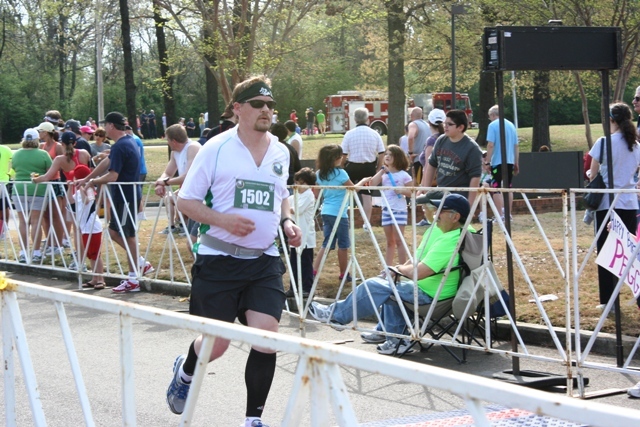 The “goal” race was (and still is) September’s Air Force Half-Marathon in Dayton, Ohio. It was my crazy behind who said – somewhere in December after we finished the St. Jude 5K – “We should do The Germantown (I call it ‘The Germantown’ because we’re tight like that me and The GT) as a Test Half!” And (because with certain things I have zero impulse control) registered us for it the instant registration was open. But back to today . . .
Owing to my ‘knee issues’ (ongoing physical drama you can go back and catch up on) I had to pull out of today’s run which put me in the position of Support Person/Finish Line Cheerleader for HCRP as he – a runner since high school – completed his First Half-Marathon. And I can’t think of a better way to have spent the morning. If a picture is worth a thousand words, have a few thousand on me. I am immeasurably proud of him for this accomplishment! 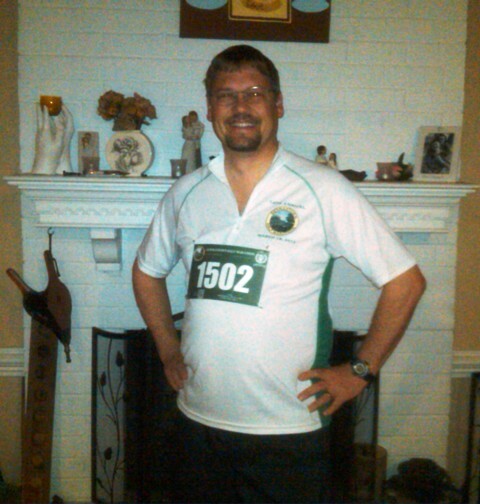 This entry was posted in half-marathon, Running and tagged Half-Marathon, Running by JFT. Bookmark the permalink. (Stands and applauds) Great job, Rich! Thank you for being there my love at the finish line to cheer me on. And the next one we BOTH run!